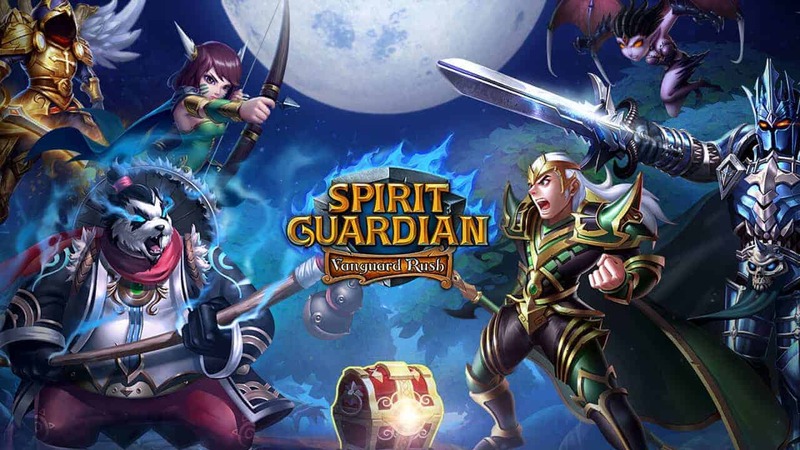 In Spirit Guardian, the Rank of Arena Fight depends on how many scores you have accumulated, and the score can be gained through winning in the the Fight. Each victory in the Arena will add a certain amount of scores which depends on the gaps between your opponent’s overall score and your own overall score. The higher the gap, the higher the score you will add in the Arena. Under this circumstance, you need to train and upgrade your heroes thus to form a strong team to overcome the Mighty Opponent so as to get a higher score. What’s more, simply winning for each battle won’t guarantee you a satisfying rank. Players need to try all kinds of ways to improve comprehensive strength thus to get a rank and reach the appealing rewards. In order to gain a higher score, don’t forget to join the Arena as many times as you can. There are six Free Challenge Chances to fight in the Arena, and for each fight you have three opportunities to refresh your opponents. So the essence lies in join in as many fights as you can and choose your opponent according to your own overall strength. If possible, you can use Diamonds to purchase more Challenge Chances. Not only more scores can be gained, buy also more more appealing rewards can be obtained. Below is everything a Dream Raider needs to know to conquer the Arena. 1.Battles in the Arena play automatically. 2.Players gain 1 challenge chance every hour. 4.Challengers lose if the timeout occurs. 5.Points can be gained from his opponent if a Challenger wins. 6.No points will be deducted if Challengers lose.